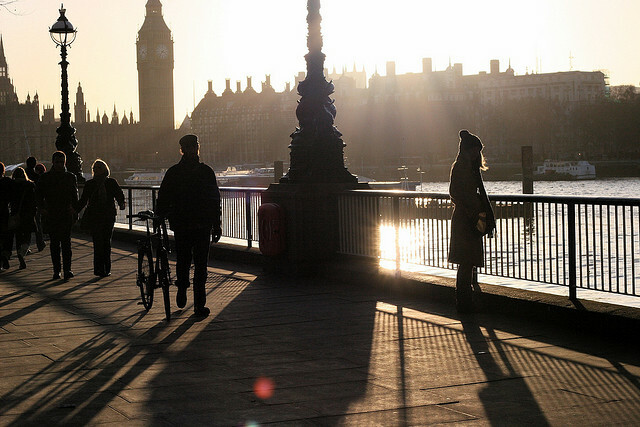 London bike commuters have 2.3 times more black carbon in their lungs than pedestrian commuters. Photo by Simon Welsh. Urban cyclist commuters have more black carbon in their lungs than pedestrian commuters, according to new research from the U.K. A research team led by Professor Jonathan Grigg from Barts and the London School of Medicine found that cyclist commuters in London have 2.3 times more black carbon in their lungs than pedestrian commuters. Black carbon consists of inhalable particles of soot resulting from the combustion of fossil fuels. To uncover these findings, the researchers assessed the lung dose of black carbon in the lower airway cells of London commuters. Modern research suggests that the inhalation of black carbon is related to a range of negative health effects, including heart attacks and diminished lung functioning. Future electric vehicle (EV) owners will largely prefer to charge-up their cars at home rather than at public charging stations, according to new research from Chartwell. The specialized information provider surveyed 1,500 North American consumers to find that 89 percent of individuals would be “likely” or “extremely likely” to charge their plug-in EVs at home. Most of these respondents reported that they will likely plug in during off-peak, overnight hours. Siemens is developing intelligent transportation technology to better coordinate traffic lights and inform urban driving. The technology by Siemens Intelligent Traffic Solution uses systems installed at traffic lights to assess traffic volume and between-intersection vehicle travel times by registering drivers’ Bluetooth cell phone signals as their vehicles pass through intersections. The real-time data then informs the adjustment of traffic lights and is incorporated into available-for-download digital road maps complete with traffic conditions. The systems technology suggests application for use in emergency situations in which traffic lights can be controlled centrally and drivers can assess the quickest routes to safety. The technology is currently being tested at 400 intersections in the greater Houston, Texas area. Tags: bicyclists, Capital Bikeshare, electric vehicles, Europe, fossil fuels, Houston, London, North America, pedestrians, Research Recap, Siemens, United Kingdom, United States, Washington, D.C.